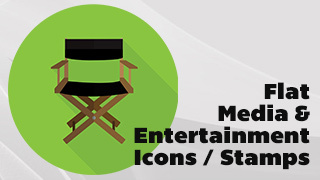 Flat Media and Entertainment Icons is a collection with 29 huge transparent stamps with a round flat looking background. 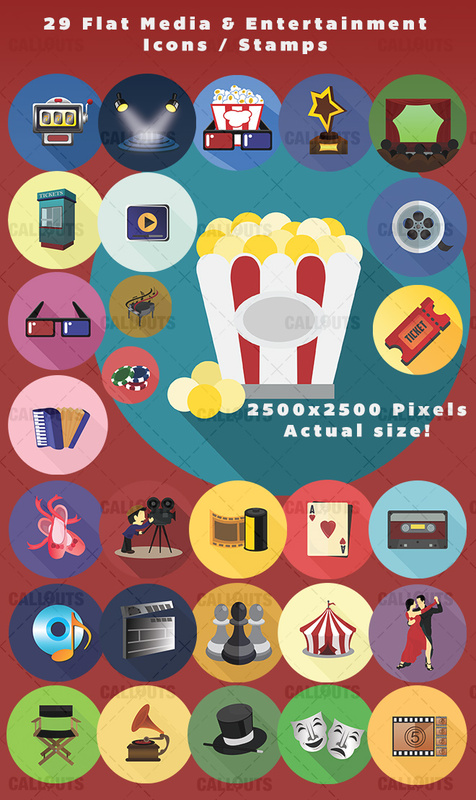 Each image is so large that it’s well suited for use in both graphics and HD video work, 2500×2500 pixels large. The file format is transparent PNG so you can place it on any background.